Every Mother’s Day I am reminded of the sacrifices mothers make. Mother’s stories play a starring role in almost every memoir, certainly in every family history. Let me share a few true-story vignettes I’ve heard about mothers, and then lay out some options for those who want to take action with their own loved ones’ stories. 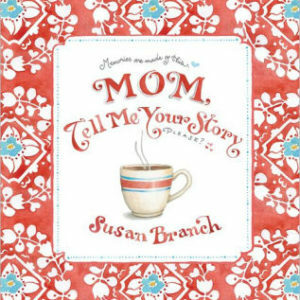 A way to save one’s life story is an amazing Mother’s Day gift! A SINGLE MOTHER IN THE 1930s, MRS. OZELLE FLOYD MARTIN, made a tough decision to benefit her only child, Thaddeus. 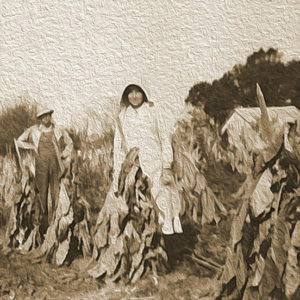 Ozelle rented out her small tobacco farm and moved to the county seat of Shelbyville, Tennessee. Thad could then attend a better high school, where he won vocational medals for his hand-made furniture. Thad still had the medals, the furniture, and the footstool he made for Mother, when he narrated memories for his own book at age 98. GIGI GOODALL WAS REPEATEDLY ABANDONED AS A CHILD by her parents. Yet, Gigi married happily when she was seventeen and had five wonderful children of her own. She also obtained an education and became a social worker specializing in finding homes for those without. Gigi and her husband Newell provided their home in Cumberland Furnace, Tennessee, to 25 foster girls over the years. They gave end-of-life care to Gigi’s mother, too. 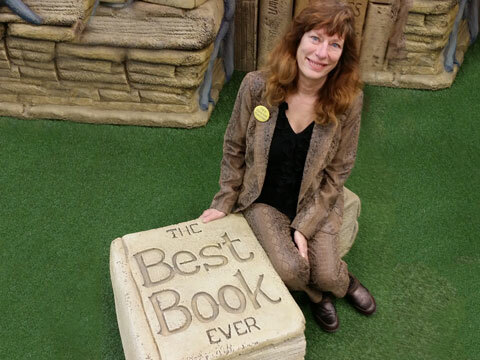 Her daughter Tami knew her mother’s exemplary story and it became the book Do You Love Me? FAMOUS FOR HER ENTERTAINING AND SOUTHERN COOKING, Mary B. Williams’ mother, Dora Anderson Binkley, was a debutante and teacher before marriage. Each Mother’s Day, Dora’s husband, School Superintendent Samuel Binkley, decorated their front porch with fresh ferns plants. At age 93, Mary is writing about her life in vivid detail, including some of her mother’s recipes. She will soon be able to share her stories in the book My Cup Runneth Over. Joy and pathos enter every life, and shape the lives to come. What stories did your Mother tell? I wish I had asked Mother that! is an oft-repeated comment when a personal historian reveals: Yes, there is a profession that obtains and records memories of the “common” woman and man.If you are wondering what to give Mother, Father, or your children for Mother’s Day or another special occasion, consider a remarkable gift of recognition and a living memorial: a personal history book. Most people don’t think about personal and family history until they are in their fifties. So if no interest has been expressed yet by your children, it probably will be. How can you address that desire for family knowledge and continuity? There are many options within the traditional form of record-keeping: THE BOOK. Let’s start with the simplest and most economical way to produce Mother’s memoir book, and end with the professional product. Price (relative cost) is indicated by $ signs. $$ Websites with writing prompts or templates. PROS: Passwords can allow family access and additions. The work is preserved online. CONS: Familiarity with computers, and training in the software or apps is needed. Sometimes requires a subscription or it disappears. $$ Photo Books with captions. PROS: Photos assist memory recall. Scrapbook at home or online with digital scans in many photo book websites. Companies offer templates, embellishments, special papers, etc. whether in scrapbook or digital form which contribute to personal creativity. CONS: Time spent to select photos and gather the captions, and design the book. Digital books require learning or using the company software, and can be costly per copy. Scrapbooks may require new skills, and duplication as they are assembled. $-$$$ Write and Publish Online or with Your Local Printer. PROS: A computer-savvy person can publish a book of memories where the focus is story, not photos. Multiple copies are easily ordered. You may choose to copy and bind your own at your local office supply store. CONS: Best if there is a book, diary, letters, or journal already written. Family or volunteer can also interview, edit and select photos for illustration. Large time investment. Learning software or the online template is an additional time and skill investment. Negotiate carefully the publishing world and its rights and fine print. $$-$$$ Use a Professional Personal Historian/Ghostwriter. PROS: A professional can collect the memories and material and have the book ready to gift on your timeline. Personal attention and service, even repeated home visits. A third party keeps the telling of these stories fresh, enjoyable, and sometimes more revealing. A professional-looking end result worthy of celebration and sharing! Multiple copies are easily ordered. Some projects can be completed despite long distance. CONS: Selecting an experienced and skilled personal historian with whom the family can develop rapport and trust. The most expensive option, sometimes cost shared among family members. Thinking about all the mothers in true stories, I realize that mothers suffer through many trials. That they continue to be able to give and to love is one of life’s necessary miracles. While your most important gift to anyone is your time, you may also want to give the legacy of remembrance with a personal history book. Gift certificates are available. Wishing you and yours a Happy Mother’s Day, and success in saving your stories.